On Saturday 26 January from 9.30am - 4pm 3CR's First Nations broadcasters Robbie Thorpe (Blak 'n' Deadly/Fire First), Viv Malo (The Black Block) Kerri Lee Harding (Blaknoise) and Gavin Moore (Billabong Beats) brought us deadly coverage of the 2019 Invasion Day events and issues across Melbourne and beyond. Dawn Service Ceremony, Kings Domain Resting Place, 5.30am. #WeAlwaysRemember, Lidia Thorpe. 3CR will recorded the ceremony to play as part of the broadcast. Listen here. 3CR crossed live to the speeches at the rally and updates from Vivian Malo and others. Listen here to the speeches from the rally. James Brennan from Monday Breakfast brought us and update from the Meanjin Invasion Day Rally, Emma Miller Place, Roma Street, Brisbane. Listen here. 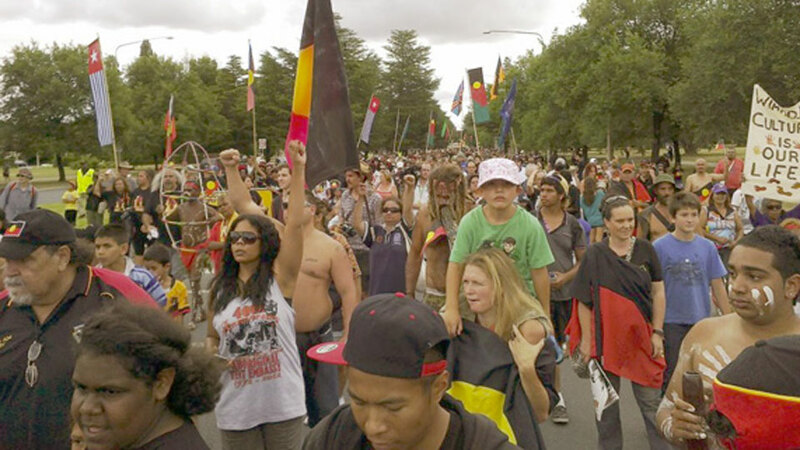 Invasion Day Rally, 12 -3pm ( 3-6pm VIC), Forrest Chase, 200 Murray St, Perth. We spoke with Corina Hayden as they gathered before the rally start. Listen here. Invasion Day Rally, 11 – 2pm Hyde Park, south corner of Elizabeth and Liverpool St, Sydney. Blak Betty and Gavin Moore chat with Kutcha Edwards at the Yabun festival in Sydney. Listen here. 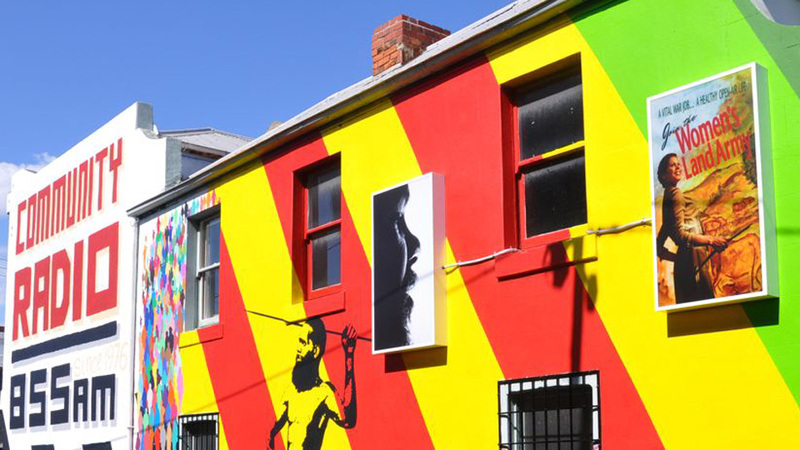 Invasion Day, 9am – 9pm at the Aboriginal Embassy. We started our broadcast with a cross to the speeches at the start of the march at Garema Place with Robert Thorpe and Ronny Ato Buai Kareni reporting. We returned to some more of the Yarning circle at the Tent Embassy fire to end the day's broadcast. Audio coming soon. Aunty Sandra Onus spoke to Gavin Moore about the Tjap Wurrung campaign to save sacred trees from destruction buy the State Governement's Western Highway extension. Listen here. Blak Betty spoke with William Brian Bates also known as 'Badger Bates' a Barkindji Traditional Owner and Elder about what is a national environmental disaster, the the health of the Murray-Darling river systems. Listen here.